Had so much fun making this cake! 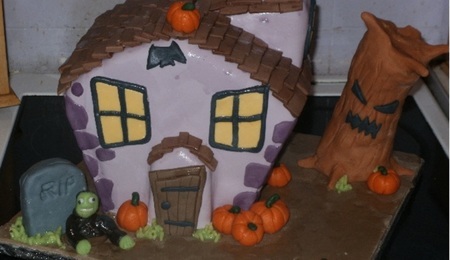 This is my second fondant cake, first topsy turvy cake. Top tear is pumpkin spice with butter cream and chocolate ganache, bottom tear is yellow cake with butter cream and chocolate ganache. 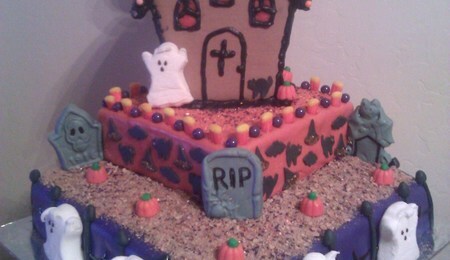 Cake is covered in MMF as well as all caracters, pumpkins and tombstones. Background was hand painted with black food coloring, Haunted house is crispy treats covered in MMF. Thanks for looking!